There’s more to on-base fishing opportunities than first meets the eye. Interest in deep water fishing adventures seems to be running high, as reaction to last week’s Fantastic Okinawa feature in Japan Update discovered. A flurry of inquiries from readers about what is available, and at what cost, triggered more calls to base Morale, Welfare and Recreation Services. 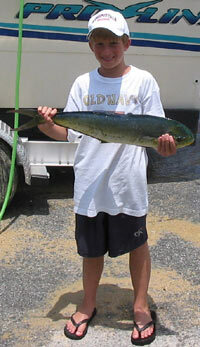 The Navy’s MWR at White Beach offers fishing as part of its outdoor recreation activities. Reservations are accepted up to 60 days in advance for both trolling and local bottom fishing trips. Navy MWR provides both tackle and bait for the trips. Local bottom fishing costs $350 for groups of up to ten people. Trolling trips are $400, with a maximum of six people in the boat group. Reservations can be made at Building 1096, the Recreation Center Office, or by calling 634-6913. Air Force MWR, 18th Services Squadron, operates Kadena Marina. Fishing trips are not being scheduled yet this season, but will soon. Inquiries and information can be found at the 18th Services website. Army MWR at Torii Station has a variety of water-based sports and activities, including scuba diving. Inquiries about fishing should be made to 644-4659/4920/4263. Oura Wan Beach is the Marine Corps’ water sports centerpiece, and offers fishing equipment rentals and fishing trips, too. Fishing charters with Marine Corps Community Services include skipper, bait, tackle, ice filled coolers for your catch, and free fish cleaning service. Charters can accommodate a maximum of six people, and can be scheduled in half-day or full day increments. Officials say charters can be mixed fishing and diving days. Cost for a boat charter (with maximum six people) is $175 for a half-day, and $350 for a full day.